New shiny Temperature Controlled Containers are on their way! 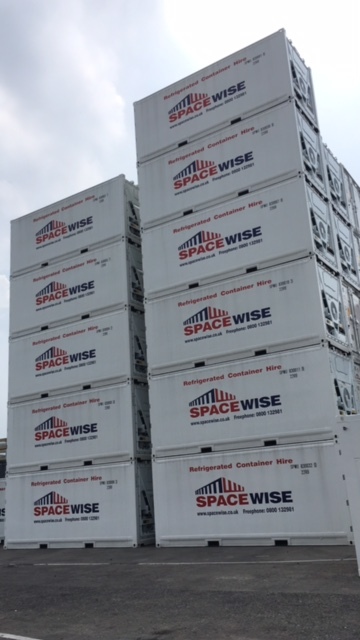 In keeping up with demand and our commitment to continual investment into our fleet, we have a large number of recently manufactured state of the art Temperature Controlled Containers on the water making their way to the UK ready for delivery to customers in October. To reserve your new container please contact us today. The British Formula One Grand Prix at Silverstone saw a great win from Lewis Hamilton. We are happy to have supported this event with the supply of 20' refrigerated containers to keep a large supply of food and drink in optimum conditions for the thousands of trackside fans. We were back at the Wimbledon Tennis Championships with our low noise energy efficient refrigerated containers to keep the strawberries and champagne at a perfect temperature. Festivals, beer gardens and all sorts of events catered for this month. Chill! 10's, 20's and 40' temperature controlled units rolled out of our depots nationwide to support the needs of new and existing customers from businesses large and small. Our fleet of 10 foot refrigerated/freezer units both single phase and 3 phase have become increasingly popular with customers old and new. March has been no exception with many bookings from farm shops to car manufacturers. Bright and white is our motto and this month we have seen more and more of our gleaming temperature controlled containers being called into service in diverse business sectors.